Lots of people ask how to use our Product Table plugin with a WooCommerce multi vendor marketplace plugin. A multi vendor plugin lets multiple sellers upload and sell products in your WooCommerce store. Product table layouts are the perfect way to list vendors’ products, as you can show more products per page and choose which information to display about each product. A table view also makes it easier to find products, as you can add features such as keyword search and product filters. Create a WooCommerce Multi Vendor Marketplace with Product Table now! What is a WooCommerce multi vendor plugin? A product vendors plugin transforms any WooCommerce store into an online marketplace with multiple product vendors or sellers. All multi vendor plugins work in similar ways, so read about them all and choose your favorite. Sellers can register as a product vendor on your WordPress website, or you can add vendors manually. Each vendor can upload products to sell on your WooCommerce store. All the vendors’ products are sold together in an online marketplace, similar to popular websites such as Etsy or Not on the High Street. Each vendor will have their own store page within your WooCommerce store, and you can also list products centrally. You can choose how to pay your vendors. Most multi vendor marketplace plugins have built-in options for giving them commission and sharing profits. Which WooCommerce multi vendor plugin should I use? There are quite a few WooCommerce multi vendor plugins, such as WooCommerce Product Vendors, WC Marketplace, Dokan Multivendor Marketplace, and YITH WooCommerce Multi Vendor. I’ve tested them all and can tell you that the official WooCommerce Product Vendors plugin, WC Marketplace and YITH WooCommerce Multi Vendor all work best with WooCommerce Product Table. If you’re using a different WooCommerce multi vendor plugin, don’t worry. I’ll provide tips on how to use it with product tables later. But if you’re just getting started and want to list multiple sellers’ products in a table layout, then I recommend either WooCommerce Product Vendors, WC Marketplace or YITH WooCommerce Multi Vendor. It’s developed and supported by WooCommerce.com. This means that you can be completely certain that it will be supported and will continue working with future versions of WooCommerce. It also makes it easier for you to use the product table layout directly on your individual vendors’ shop pages. I’ll tell you how to do this later. 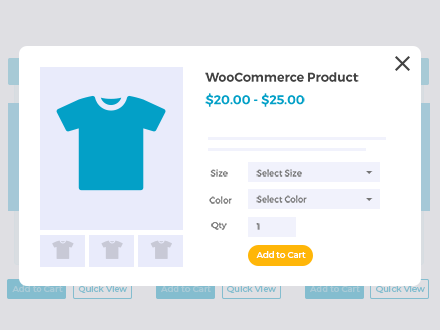 Later in this tutorial, I’m going to show you how to create product table layouts using the official WooCommerce Product Vendors plugin, plus the free versions of WC Marketplace and YITH WooCommerce Multi Vendor. These instructions will work equally for the Pro versions. WooCommerce Product Table is a WordPress plugin by ourselves at Barn2 Media. It lets you list any type of WooCommerce product in a flexible table layout with search box, filters and any product data that you want to display. It’s popular for creating a one-page order form layout for a WooCommerce multi vendor marketplace. The plugin comes with over 50 options, so there are literally dozens of ways you can customize your product tables. For example, you can create tables listing all the products in the marketplace, or products from a specific vendor only. I’ll talk about the most popular options to use with a WooCommerce multi vendor plugin later. You can use WooCommerce Product Table with either the official WooCommerce Product Vendors plugin, WC Marketplace or YITH WooCommerce Multi Vendor. This allows you to create better layouts for your multivendor store. It will get more sales for your sellers, and more commission for you – everyone wins! Before you start, I’m assuming that you already have a WordPress website with WooCommerce and one of my recommended multivendor plugins set up. If not, set it up now by using the documentation for your chosen plugin. 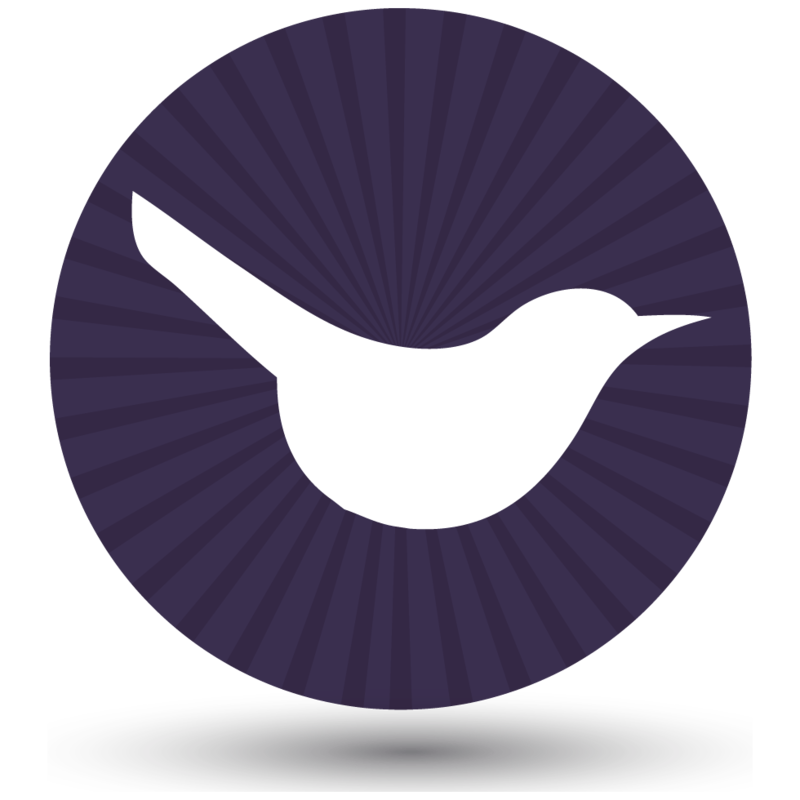 Navigate to WooCommerce > Settings > Products > Product Tables and enter your license key. Choose the default settings for your multi vendor product tables. Next create a new page where you want to list your marketplace products (Pages > Add New). Publish the page and view it to see your multi vendor product table. You’ll see a product table listing all the products in the multi vendor marketplace. There are columns for product image, name, vendor, price and add to cart button. There’s a filter dropdown above the table where customers can choose a specific vendor. Customers can also click on any vendor in the Vendors column to view products from that seller. If any of your vendors sell variable products, then the variation options will appear as dropdowns in the add to cart column. Next, I’ll talk about how to customize your multi vendor product tables in different ways. In the previous section, I told you how to list all the products from your WooCommerce multi vendor marketplace in a single table. But perhaps you’d rather create multiple product tables, each listing the inventory for a specific seller. That’s fine too. Your multi vendor plugin stores each vendor as a custom taxonomy term against the WooCommerce product. The taxonomy is called wcpv_product_vendors for WooCommerce Product Vendors, dc_vendor_shop for WC Marketplace, and yith_shop_vendor for YITH WooCommerce Multi Vendors. If you’re technically minded (or if you have a developer), then you can also add the product table layout to the vendor store and category pages. To do this, you’ll need to modify the template files that come with your theme and/or the WooCommerce multi vendor plugin. The WooCommerce Product Table knowledge base has basic instructions on how to use the table layout on your main WooCommerce store homepage and product category archives. If you’re using the official WooCommerce Product Vendors plugin then you an follow these instructions exactly to add product tables to your vendor pages. If you’re using a different multi vendor plugin, then the process will be similar. However, you will need to incorporate the product table code into the multivendor plugin template file. If you want to do this and don’t know how, then I recommend posting a job on Codeable to find an experienced developer with the right skills. Or for a non-technical solution, you can create normal WordPress pages and use the instructions in the previous section to create a product table listing each vendors’ products. Use these instead of your marketplace plugin’s built-in vendor store pages. WooCommerce Product Table supports all the standard WooCommerce product data, plus any custom fields and taxonomies that you’ve created. You can read about how to show different columns in the plugin knowledge base. In the setup instructions above, I told you how to add a ‘Vendors’ filter dropdown above the table. Users can select a vendor to view all products from that vendor. That’s only the start of what you can achieve with product filters. 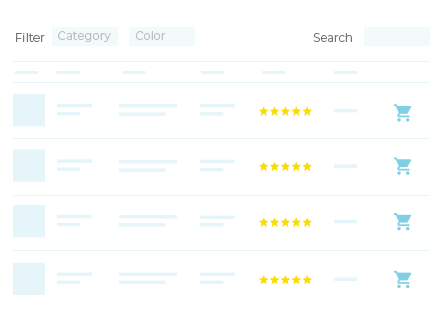 WooCommerce Product Table comes with lots more filter dropdowns and widgets. Use these to help customers to find products more quickly. It’s a great way to boost conversions in your WooCommerce multi vendor store. If your WooCommerce multivendor marketplace has a lot of products or variations, then it’s worth activating the lazy load option. This loads 1 page worth of products at a time and avoids any performance problems for bigger marketplaces. I mentioned earlier that WooCommerce Product Vendors, WC Marketplace and YITH WooCommerce Multi Vendor work best with WooCommerce Product Table. If you really want to use a different plugin such as Dokan Multivendor Marketplace, then you can do this. The difference is that the Dokan plugin only stores each vendor as a user, which limits how far it can integrate with WooCommerce Product Table. (The Dokan plugin stores the vendor as the product author, which unfortunately isn’t an option to display in WooCommerce Product Table.) One of our customers has also reported that WooCommerce Product Table is incompatible with the front end product submission in Dokan. As a result, I’d recommend using one of the multi-vendor plugins that I recommended above. The good thing about the plugins I’ve recommended in this tutorial is that they create a Vendors custom taxonomy. This is added to WooCommerces in a way that the WooCommerce Product Table plugin can display. As a result, you can use the two plugins together to to add a ‘Vendors’ filter dropdown, display specific vendors only, and show the vendor name in the product table. If you decide to use a WooCommerce product vendors plugin that doesn’t have a ‘Vendors’ taxonomy, then it’s still possible to list all the products from the various vendors. You can do this by creating a product table that lists all your products. The limitation with the other plugins is that you can’t list the vendor in the table, filter by vendor, or create tables for specific vendors only. Here are some suggested workarounds to help with this. If you’re using a plugin that doesn’t come with a Vendors taxonomy, then you can create your own! Use our tutorial to create a WooCommerce custom taxonomy. Manually add the vendor name as a taxonomy term for each product. This is similar to adding tags in WordPress. You’ll find the taxonomy on the right hand side of the Add/Edit Product screen. Once you’ve created your Vendors taxonomy, you can use the WooCommerce Product Table options to display it in a table. This includes creating a Vendors filter dropdown, and creating tables for specific vendors only (use the term option for this). You can also include a ‘Vendors’ column in the table – use a custom taxonomy column for this. In the section about WC Marketplace, I talked about how developers can modify the multi vendor plugin templates to automatically use the product table layout. You can equally do this with any WooCommerce multi vendor plugin. As you have seen, a product table layout is ideal for listing multiple sellers’ products in a WooCommerce mutivendor marketplace. You can make it even more effective by combining it with the WooCommerce Quick View Pro plugin. This adds quick view links or buttons to the product table view. Customers use these to see extra images, read more information, choose options and add to the cart from a quick view lightbox. It’s a great way to keep customers on the product table page, as there’s no need to direct them to a separate page to learn about each product. After adding a product to the cart, the quick view lightbox closes. This brings the customer straight back to their current place on the list of products, where they can continue browsing. As a result, they’re likely to buy multiple products and spend more in your marketplace store. The quick and easy way for customers to explore and buy your vendors' products. WooCommerce multi vendor plugins are a fantastic way to transform your store into a complete marketplace with multiple sellers. By adding WooCommerce Product Table to your multi vendor store, you can create improved layouts and increase sales. This benefits you and your product vendors, so get started today!